When: All year around… In the warmer months you can sit outside and enjoy the view of the old roads and buildings. When its cold sit in the cosy inside area. Drink: Enjoy the simple things. 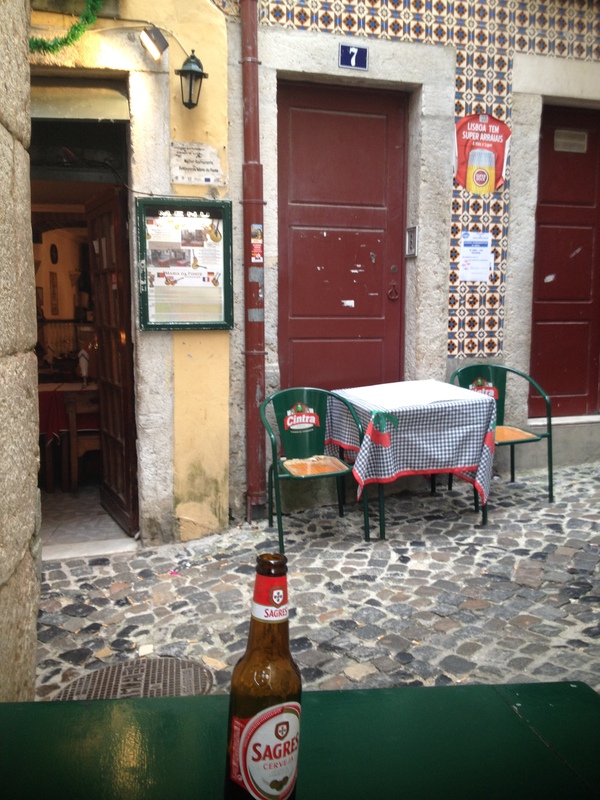 Have some wine or try some portuguese beer. I really enjoyed the taste of it. Also a must in Portugal is the homemade Sangria. Eat: Little things… They had a variety of little snacks like bread and olives, antipasti and also other things I’ve never seen before. A good place for people who want to try something new. Price: Oh it’s very cheap. I remember only paying 1,50 Euro for one beer (I really hope they haven’t changed the price by now). 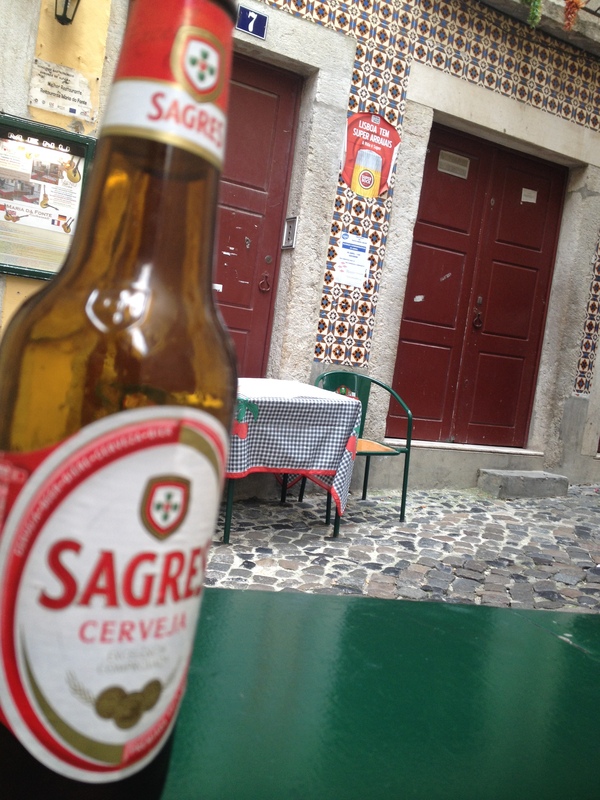 If you think the bars in Bairro Alto are cheap, try this place. Do: Explore the area. Don’t look at your map, just start walking. 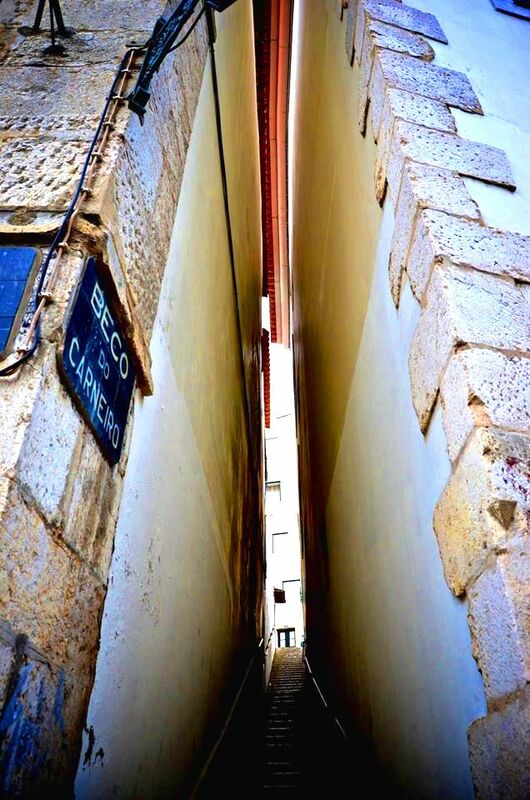 You will discover so many interesting little streets and beautiful details. It’s the paradise for everyone who likes taking pictures! My tip: Wear comfortable shoes! 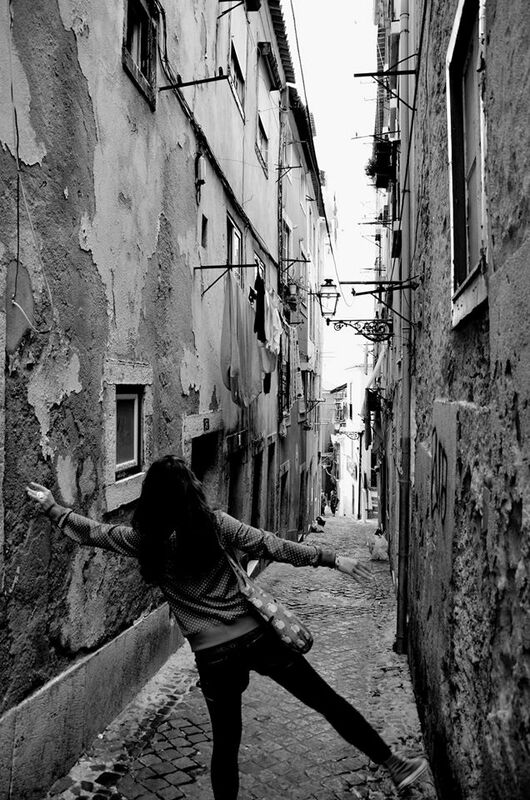 Lisbon has so many hills and Alfama is not an exception. Also with all the brick roads people with the wrong shoes will definitely struggle. 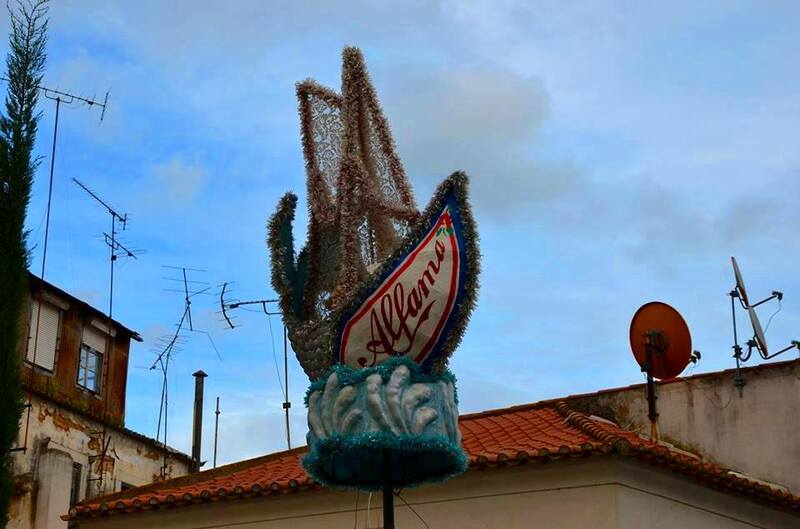 The area is also close to the “Castelo de Sao Jorge” so you could walk up there, enjoy the view and the old castle and then walk down to Alfama for a drink and a bite to eat. 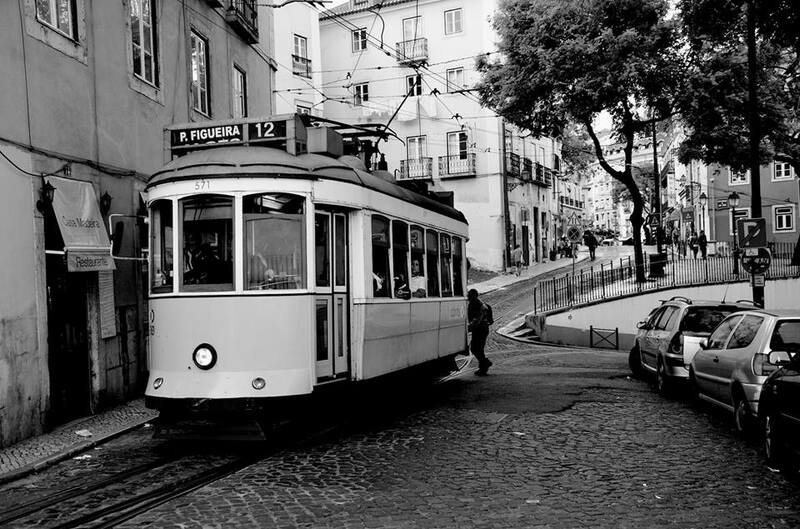 This entry was posted in Places behind Drinks, Portugal and tagged Bars, Drink, Lisbon, Photographie, Portugal, Restaurants, Tourism, Travel. Bookmark the permalink.